JW is a small-town banker. His specialty: teaching other bankers in towns near Indian reservations how to profit from casino deposits without exposing themselves to risk. His problem: having lost his son in a car accident a year ago, JW is depressed, his wife is leaving him, and he can't stop gambling. When he is caught embezzling funds to support his addiction, JW's boss offers him a choice. He can either accept responsibility and go to prison, or use his talents to sabotage a competing Native American banker named Johnny Eagle. With the clock ticking, JW moves into a trailer on the reservation within sight of his prey. But as he befriends Eagle and his son, JW finds that his plan to reclaim his freedom will be more dangerous than he ever could have imagined. 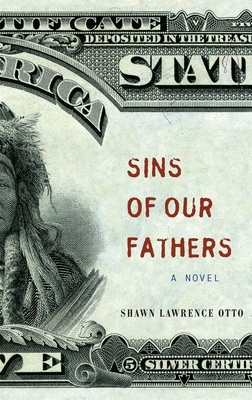 Shawn Lawrence Otto is the writer and co-producer of the Oscar-nominated film "House of Sand and Fog." He also writes for top studios like DreamWorks and Lions Gate. His nonfiction has appeared in "Rolling Stone, Science," and "Salon," among other publications. He lives in Minneapolis, MN.